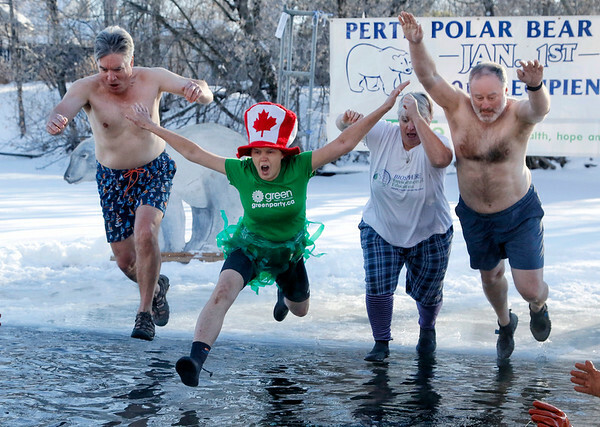 People take part in the Perth Polar Bear Plunge in Perth, Ontario, on Monday, January 1, 2018. The air temperature at the time of the plunge was -21°C. Photo by Patrick Doyle.